Radical Railbanking images latent urban vitality within the lifeless postindustrial zones lining Detroit’s railways by recutting publicly available geospatial data and commercial market segmentation data. 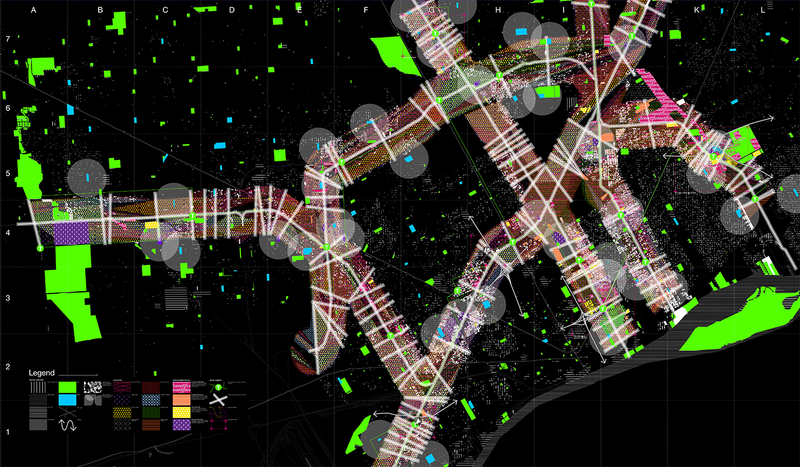 In doing so, the project attempts to eschew the positivism and contentious identity assumptions often attendant to the instrumentalization of “big data” in the urban environment – instead describing a city of hybrid urban collectives that begs imaginative architectural interventions. Read more in the Journal of Architectural Education and Architect Magazine.